The USTA has announced that Buddy Up Tennis in New Albany, Ohio, was awarded the 2016 USTA National Adaptive Tennis Community Service Award. 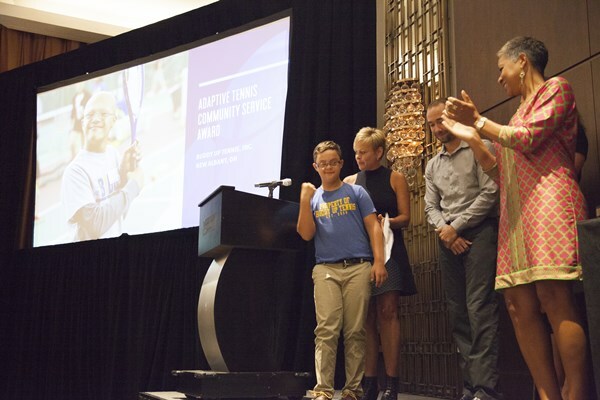 The organization was honored at the USTA Semi-Annual Meeting, Sept. 3-6 in New York City. 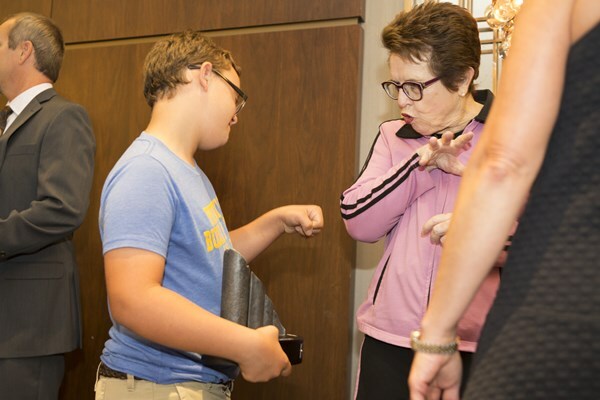 The USTA annually bestows this recognition upon a program or program leader that has demonstrated continued excellence, dedication and service in tennis for an adaptive tennis community. Buddy Up Tennis is an adaptive tennis and fitness clinic for children and adults with Down Syndrome. The organization enables its participants to flourish, succeed and reach their fullest potential by providing a unique environment that combines tennis, fitness and social activities. Buddy Up Tennis currently has clinics in nine states and fifteen cities and is growing rapidly. Buddy Up Tennis was started in 2008 because Will Gibson, a 3-year old with Down syndrome wanted to play tennis like his brother. From Will’s passion for tennis and desire to be like his brother, Buddy Up Tennis was born. Will has become an unstoppable force on the courts and serves as a role model to all involved. Buddy Up Tennis provides a way to make a significant impact on the Down syndrome community, the tennis community and each city where the clinics are located. 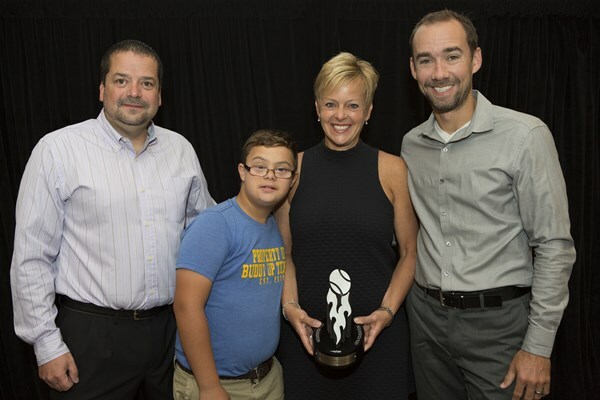 The USTA Adaptive Tennis National Community Service Award was established in 2003. 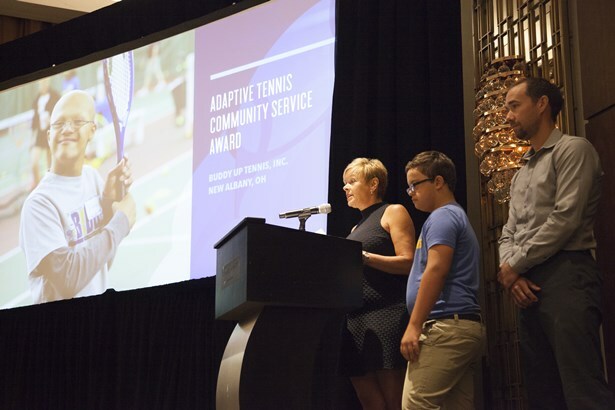 To qualify for a program award, the program must have been in existence for a minimum of three consecutive years and be either a registered USTA Adaptive Tennis program or have a USTA Adaptive Tennis affiliation. To qualify for an individual award, the recipient must have worked with an Adaptive Tennis program for a minimum of three consecutive years. The USTA Semi-Annual Meeting and Conference brings together USTA Leadership, national staff, national committee members and section volunteers and staff in pursuit of the USTA mission: To promote and develop the growth of tennis. Along with leadership and committee meetings, the USTA Semi-Annual Meeting provides education opportunities for all attendees to develop and enhance their personal and professional skills and learn new ways to promote the game of tennis.